Home Blood & Circulatory Can Cryotherapy Help Manage Your Pain? Some people may be able to handle it better than others, but pain is no one’s ally. From daily pain to debilitating days, there are solutions other than addicting pain medications that some doctors hand out all too freely. Cryotherapy for pain management is a natural alternative to prescriptions. The technique can offer an array of benefits as well. Let’s look at how extreme cold temperatures may help your body from within. When you feel you are hurting from the inside out, nothing seems to work and you want to avoid the risk of opiate addiction, cryotherapy may be an ideal option. Cryotherapy centers are popping up left and right, and many find it interesting to discover more about the way this technique works for pain. You enter a chamber and are immersed with freezing temperatures. These temperatures are meant to penetrate deep down to heal inflamed muscles, tears, aches and pains, also allowing for momentary blood flow reduction. When you ice your body, your organs, muscles, and ligaments decrease in size, minimizing inflammation. In short, cryotherapy for pain management translates to cold treatments. When you hurt your bones, muscles, or organs, you of course feel pain immediately. You may opt to reach inside of the refrigerator for your ice packs. This is a version of cryotherapy. When you apply cold therapy onto your skin, it’s a good idea to wrap a cloth over it. This will help you avoid getting an ice burn. If you are unable to feel the part of your body which you are treating, immediately remove the cold therapy treatment. Try to administer this method in shorter increments. Aim to switch from minutes to seconds. Athletes have been known to promote and implement the cryotherapy recovery technique, considering they are always exposed to muscle and bodily injuries. If you experience pain, talk to your health care team about using cold therapy to help improve your day-to-day life and manage your pain. Recent research from pain experts suggests that applying an ice or gel pack for sessions of 10-20 minutes several times a day can be helpful. But too much exposure to cool temperatures can freeze the skin causing hyperthermia. This can lead to amputation in very rare cases. 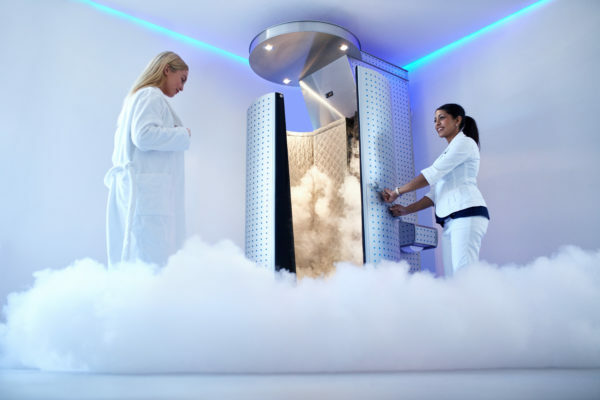 Reminder: if you have certain health issues such as blood disorders or diabetes, it is crucial to discuss using cryotherapy as an alternative route with your physician. You will be provided with proper protective gear (PPE). This is to help you avoid getting frostbite in the below zero temperatures you are about to embark upon. The PPE may depend on the spa you attend, but will most likely include gloves, a bathing suit, socks and ear and mouth wear. Next, you’ll be submerged into a chamber full of air below freezing air. The chamber will contain liquid nitrogen. You will then be exposed to an extremely cool environment for seconds to minutes. Lastly, you will feel the healing effects that extremely cold temperatures have on your body. 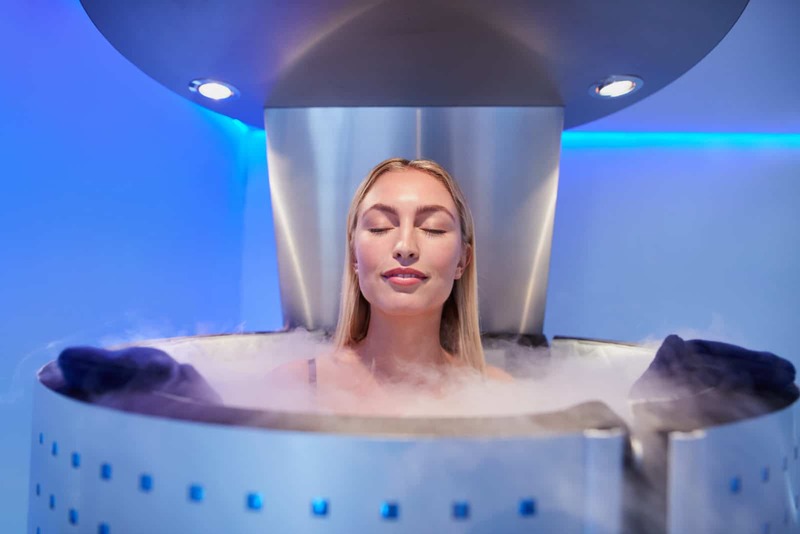 Some people, both in-and-out of sports arenas, claim that they use cryotherapy to lose weight, look younger, to heal every day and for the main purpose of reducing pain. Your blood vessels are bound to rapidly expand after treatment in order to make up for the reduction of blood flow you experienced during your chilled cryotherapy treatment. Expanding blood vessels enables the human body to heal quicker. You may notice the number of migraines you typically experience decrease. The treatment may reduce swelling and inflammation. You may notice pain reduction, including a relief in chronic pain. Inflammation is the derivative that initiates the bodies pain response. When you opt for cryotherapy, you are likely to start to feel better due to simple logic: cold decreases pain and inflammation. This even applies to joint pain such as rheumatoid arthritis.